PC purgatory. Increased complexity equals reduced reliability. "I'm not a big fan of having PC's on a boat, for a variety of good reasons." Now before the devotees of PC's take great umbrage at this, I am going to put lap tops in the "I'm a PC, but a different type of PC", and cut their users some slack. So for starters, what could go wrong with a Windows based computer on your boat? Everything!. PC's have eaten thousands of pages of my work over the years, and I can barely keep the one on my desk consistently operating. And now you want it to perform in a marine environment, and as the primary source for the vessel navigation? Blue screens of death, frozen pages, and resets, are all things PC users have had to live with throughout the years. As we know from the ad's, "The new Windows Series 14 takes care of all of the problems the old unlucky Windows Series 13 had." I'm going to keep this dialog in the real world, and I'm framing it around a real system. You can see below, a real boat, and one of two helm stations. On the left, is a Furuno NavNet black box system, and on the right is a PC based system running a Nobeltec VNS Max Pro based system. I like the Nobletec software, but this isn't really about them, it's the PC thats being discussed. When I first saw the boat, that cute little computer below was running the PC show. It looked like a porcupine. Every orifice in this little box had something plugged into it, all largely unlabeled. It was surrounded by two white plastic 110VAC fans to keep it cool, and it needed the cooling. When you stuck your head into the underside of the console, it felt like you were in a Hasbro Easy Bake Oven. I mentioned the cooling issue to the owner, and suggested something needs to be done about this. Unbeknownst to me, the owner called the original installer, and discussed the problem with him. The installer suggested that a new computer could be rigged up, and with a case that had some substantial cooling capability. This was a good idea, at least for the PC processor. The original installer even loaded the Nobeltec software and charts into the system, and shipped it to the owner. Another installer was given the task of installing the new computer. He came in, pulled all of the USB plugs out of the cute little computer, and plugged it into the new one, (you can see it lurking at me below), and pronounced it "Job Done", got his money and left. This is where my decent into PC purgatory begins. The cute little computer had other things stored in its system, and it was now a little short of peripherals, so getting its additional software contents is no longer easy. What's missing? We can start with a pile of drivers, the Airmar WeatherCaster, and WX Works weather software for starters. Lets take a look under the hood, and see what kind of stuff we have there. Starting from left to right is a Sea Level four port serial to USB converter, and thankfully labeled. Plugged into it is the Insight sounder, Insight radar, GPS, and heading sensor. The Sea Level box is connected to the silver USB hub box, along with the Airmar weather station, and a couple of additional USB to serial converters. The silver hub plugs into a USB slot on the new PC. There is also a Syrens WiFi system, connected to one of two wireless routers, and the other wireless router is used by a laptop to access the Nobeltec glass cockpit option. A display splitter, an Actisense NMEA multiplexer, three GPS's in, and a dozen other assorted black boxes are there also. I could feel the very life being sucked right out of me when I first saw this. So what could go wrong here? Don't worry, I'm gonna tell you. This is a brief list of the bugs encountered. I downloaded, and reinstalled the Airmar software, and it searched for its own port, and didn't find it, or I should say it found one that had GPS data on it, but oops, the wrong port. A call to the ever gracious Irene Robb from Airmar helped me out here. The Airmar software was finding the GPS port first, and thought it was the correct port, because it was hearing things it was expecting to hear. The software had to be manually set to the correct port, which was actually further down the list. This system has the longest list of com ports I have ever encountered, and the thing about com ports is that you can't give them a real name, Like GPS #1. So a lot of the identification of what port is being used by what device is done by trial and error. Pull a plug, and see what disappears off the Device Manager's port list. OK, now we know that com port 5 is a GPS, and on we go. It took two people to do this chore, because the port list was so long, and the plug puller, couldn't see what disappeared, so someone else had to watch the display. I needed to do this, because in order to re-install the Insight sounder, and other devices, I had to identify which ports they needed to use. The Insight radar also had to be reinstalled, but it was able to find its port by itself. 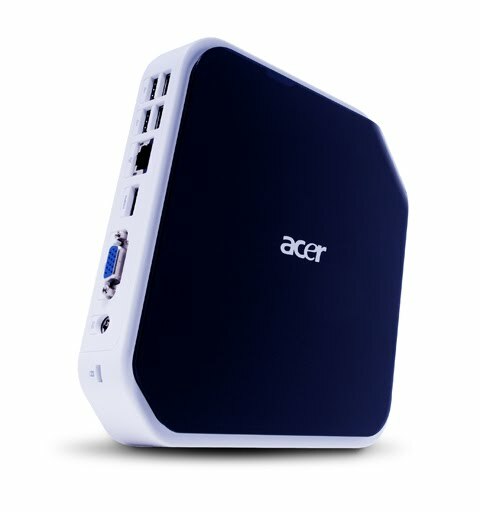 Since there are so many ports being used for serial data, periodically on start up. The PC sees serial data (and there is a lot of it), and then thinks its seeing a new serial mouse, and because the PC is so clever, it conveniently installs the new non-existent mouse, and changes the port for you. This results in all kinds of erratic cursor motion, menus popping up, and other weird things. The fix for this is to open the console, and start pulling USB plugs until it stops acting up (you can't control the cursor while it is doing this "crazy mouse" serial talk). Then you go to the Device Manager, and disable the newly, and automatically installed "Serial Mouse" it thinks it sees, and plug the offending cable back in. You just hope it won't do it again, but history has often proved otherwise. The original computer, was an XT machine, and the owners lap top was XT based. Nobeltec's "Glass Cockpit" ran on the wireless network. Now the owner has a Windows 7 lap top, and the new PC for the console is an XT. Nobeltec's "Glass Cockpit" system requires that the computers have exactly the same operating system for this feature to work. Mr Gates has insured, that with each upward change in Windows, software compatibility goes away, and so did this feature. There may be a way to do this, but it will no doubt require more iron, and software, and some Googling to find out. Power is always a concern with a 110VAC based system. if your generator, or inverter fails, so does the PC based navigation system, and everything with it. Switching over from shore to ship based power systems must be done with care, and you have to be careful about encountering bad shore power systems. Your PC will not like it. Cooling is very important, and you should have a firm grasp of PC operating systems if things go wrong, and you have to diagnose what's wrong. Last but not least, there are way too many single point failures that can completely render the system useless. A hub goes down, a USB plug vibrates out, and you are up the creek, without a PC. So if you need to have a PC based system, here is some advice. Keep it as simple as possible. When the PC is your, navigation system, internet access, weather station, XM weather source, and hosting a ton of NMEA serial data ports, things can, and will go awry, and figuring out what ended up in left field can be challenging. If you want a navigation system, keep it just a navigation system, that is just standing alone, and less is always more reliable. So now it's time for the lap top uses. All of the above paragraph still stands for you also, but having said that, the lap top offers tremendous bang for the navigation buck. A $40 USB GPS, free software from SeaClear, and free charts from NOAA, turns your lap top into an effective, and competent chartplotter, even if you don't get free Sham Wows with your USB GPS order. Oh yes, my last piece of advice is always, always, always have a back up, even if it is just paper charts, or a hand held GPS. The system I have been talking about will end up working OK, but it will never be as reliable, or as stable as the Furuno NavNet system that is right next to it. This was a very smart decision to have it installed, next to the PC. "I'm a PC, and Windows 13 was my idea." I just wish that angry mob would stop chasing me. A computer that has been on the market for 6 weeks is still usable as a boat anchor. The troubleshooting guide contains the answer to every problem except yours. The attention span of a computer is only as long as its electrical cord. No part ever fails where you can reach it, or where there is enough light to see how to replace it. There is a fix for crazy mouse, and you can find it here. Here is a complete listing of all of Murphy's laws. Bob and Carol visit the Gulf of Mexico oil slick, an unfortunate series of events occur. Bob and Carol were watching their favorite news channel, and listening to stories that were saying the oil slick wasn't that bad, and drilling for oil was "Good for America". We remember this insensitive, and not so bright couple, Bob, and Carol from the story about buying their new boat. So Bob, in a very rare display of initiative, tells Carol, "lets load up the boat, and go out and see what this oil slick business is all about". Bob, Carol, and the kids make sure they have all of their important marine gear. The kids grab Ipods, and video games, Carol makes sure there are plenty of chips, and dip on board, Bob gets a back up case of beer, and off they go on their Magnifico 50' yacht. It doesn't take long for Bob and Carol to see the first signs of the slick from the bridge. Bob says "this isn't that bad", and Carol says, "look at the pretty colors, but it does smell a little funny". Bob and Carol, comforted by the fact that things don't seem that bad at all, carry on. Bob wants to see where the oil leak is, because he saw on TV cool pictures of things burning there, just like it was the Fourth of July. After a while, the kids emerge from the dark cool cabin complaining that it was getting a little warm. Bob says "well stay out here in the fresh air, it will do you some good". The kids wrinkle their nose at the odor, and disappear back below. Bob yells out after them, "just turn the thermostat down". Bob thinks about this for a few milliseconds, and decides the strainers haven't been cleaned for a while, and he will have his boat maintenance guy check it when they get back. Bob is watching his favorite TV news show, on his chartplotter thingy, and isn't paying attention to the engine gauges. The temperature gauges, on both engines have started to climb slowly up. Bob asks Carol to get him another beer. Just as Carol hands him a new cold one, Bob feels a thump, and the generator shuts down. Seconds later the port engine shuts down, and alarms start squealing on the bridge. A moment later the other engine shuts down, in conjunction with a very loud clanking noise. Carol says "Stop all that high pitched noise, I'm trying to read my Cosmo". Bob turns off the engine ignition switches, and all of the alarms stop, except one. Bob frantically scans all of the gadgets on the bridge, and sees an outline of his boat, with lots of little red lights on it. The one that is lit, is marked "High Water Alarm". The kids come running up to the bridge screaming, "the floor is wet in our cabin". Bob runs down, looks into the companion way, and sees two inches of water over the carpet in the forward cabin. He also smells some exhaust fumes in the cabin. Bob now has an inkling there may be a real problem now, and he should get some help. For the first time on the trip, he turns on the VHF radio, and starts to yell "Mayday, Mayday". 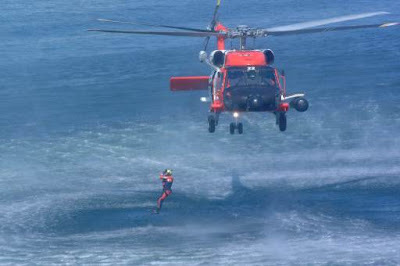 The Coast Guard answers, and starts to ask questions. One of the questions is, "where are you?". It takes Bob some time to figure how to get the TV off of the chartplotter thingy, and get it on a chart page with his position. He tells them the position, and seconds later, all power on the boat disappears. Bob thinks maybe they need those orange floating jacket things, but he doesn't know where they are, and besides, Carol wouldn't get into that black greasy water anyway. One of the kids suggests that the raft in a fiberglass box behind them would be useful. They all rush to the back of the bridge and stare at it. A cord is spotted, and one of the kids jerks it, and it explodes open just in time. The water is now at the bridge, and they all pile into the orange raft, just as the vessel gracefully sinks away underneath them through the thick black goo. A helicopter shows up, and Bob, Carol, and the kids, are saved, but the Magnifico 50' yacht has now been added to Bob's "Museum of Shattered Dreams" vast collection. This scenario is possible, although most likely not as Bob and Carol experienced it. 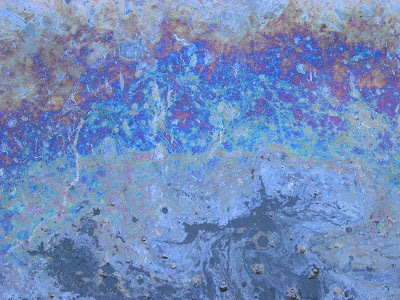 I'm not going to turn this into a science fair project, but I will layout in general terms what is in the oil slick, and what impact it could have on your boat, should you encounter it. I will also add some links for further discovery, if you are so inclined. The goop in the water can be generically described as "Sweet Louisiana Crude" A crude oil is described as "Sweet", if it has less than .05% sulfur content. Crude oil is a hydrocarbon soup, that is processed into fuels (gasoline), solvents, and many other products. In its raw form, there are many materials naturally present such as Butane, Methane, Ethane, and many more "ane's" are on this list. All of these hydrocarbons can attack, and damage materials that are not designed to withstand contact with them. So what does this have to do with with your boat. The chemicals present in the oil slick can attack gasket materials, and hoses that are not specifically designed to resist these hydrocarbons. Go to West Marine, and check out the cost differential between 10 feet of fuel line hose, and 10 feet of water line hose. There is a huge difference in price (400%), because materials designed to withstand degradation from hydrocarbons are much more costly to manufacture. In Bob and Carol's case, I blamed the air conditioning system for sinking the boat, although I can certainly add many additional contributing causes. As the AC cooling water was pulled into the boat, the oil in it started to stick to the strainer basket, slowing the water flow, and hence the less cooling. The oil caused the raw water pump impeller to soften, and the hoses attached to the pump softened as well, and started to swell. With enough time, and pressure, the softened hose from the AC pump burst open, and the system starts to pump oily raw water into the bilge. This would run for a while, until the AC systems start to shut down, due to slow water flow, and the relays automatically turn off the pump. But by now the damaged impeller allows water to bypass it, and water still flows, but at a slower pace. The generator suffered from a similar scenario, but in this case, the strainer just got plugged up with oil, and it did a high temperature shut down. It survives this time, but the entire cooling system will have to be flushed out, and the impeller replaced, at the minimum. This could be lot worse, depending on the type of cooling system it had. I didn't talk about the head system, but if salt water was used for flushing, the oil can eat , or damage gaskets such as the joker valve, and hoses.You should also hope that manual heads had a vented loop above the water line, or this could have sunk the boat just as easily. Now for the engines. In almost all cases, oil in the cooling water can go from just plugging things up, causing shutdowns, to destroying the engines. This goes for gas, diesel, and don't forget outboards. There are a myriad of scenarios here. In Bob's case, remember he smelled exhaust gas in the cabin? It could have come from a failed rubber exhaust elbow, that oil laden cooling water was passing through. It's tough enough job to keep cooling water away from the insides of engines, and transmissions with out worrying about all the gaskets that do that job, failing because of hydrocarbon degradation. Can it get worse? Sure it can. How about coating your zincs with a nice thick film of oil, rendering them useless. Your ground plate for the single side band radio will also suffer the same fate. The pretty vinyl boot stripe won't like the oil, the hull can stain, and how about the water lubricated dripless stuffing boxes. I'm not sure, but I suspect cutlass bearings most likely won't like the oil either. The list here is almost endless. It's hard enough to keep a boat operating in a highly corrosive salt water environment. Add this nasty hydrocarbon goo to the mix, and you will really shorten your vessels life, and spend a lot of extra money. Did I mention the potential for a fire? 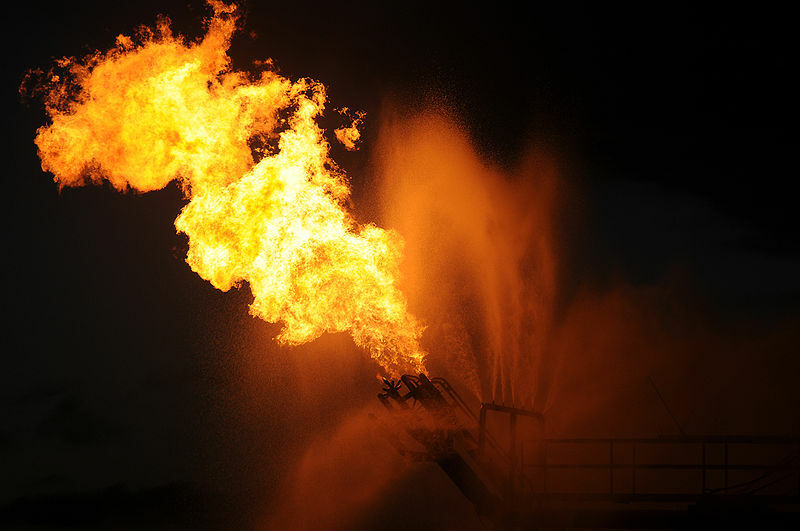 A burst hose, or failed gasket spraying crude oil laden water inside a hot engine compartment, does not bode well if an ignition source was available. The birds, and marine life aren't surviving it, and your pleasure boat won't either! Your boat better be in disguise. What is crude oil, and what's in it. A small postscript about the story. I received a flurry of comments today after I posted this. They range from they liked the beginning, but not the technical end, they hated the beginning, but liked the technical end, they liked it, and they hated it, it was too political, it will discourage boating, and it just made some people uncomfortable. I have fooled around with this story on and off today. It is what it is, and it will now stay this way. This is a simple story. Bob and Carol, are the foils. 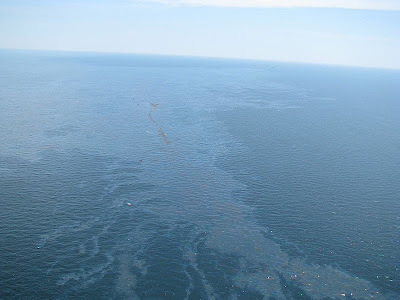 They are the Eddie Haskell's of the world, and provide the set up for a general discussion of how the oil slick could affect a vessel. If the subject matter makes people uncomfortable, I'm ok with this, it should. I live In Sarasota Florida, a place with world renowned beaches, and a community whose primary income depends on these pristine beaches, boating, and fishing. It is also a community in denial. No task forces are looking into what to do if the oil gets to us. No planning is going on. We are advertising the fact that we don't have a problem, come visit, but no one is looking forward into the future, and we should be. Tens of millions gallons have already spilled into the Gulf, and if you accept the the more conservative number of 35,000 barrels a day now being released into the Gulf. Thats 42 gallons in a barrel * 35,000 barrels = 1,470,000 gallons per day (NOAA estimate). Now lets just assume that the relief wells won't cap this problem until mid August, lets say 60 more days. The total gallons of crude oil released just over the next 60 days would be 88,600,000 gallons, or around ten times the Exxon Valdez spill. We can argue about the numbers, but they are staggering at any level. Now if you don't think this problem is going to impact Sarasota, and communities in the down stream flow of the Gulf Stream, including the eastern US coasts, you must have your head in the sand. Just ask someone from the coastal areas of Louisiana, what life is like now. Was it a bit political, yes. Did I try to make it a bit pointed, yes. Did it make you a little uncomfortable, I hope so. " "We have met the enemy, and it is us". Walt Kelly. The first Intrepid power boat, Loys Charbonnet, and the "Checkered Demon"
Sometimes you just know something unique is happening to you, and meeting Loys Charbonnet for the first time on his boat was one of them. I was called by Loys, and asked to do some Garmin 5208 training, and software upgrades. As I boarded, his boat I had this unusual feeling. It looked brand new from the factory, but it had this retro classic appearance. So I asked Loys, "Who is the builder? ", and he replied, "This is an Intrepid, and it is the first one ever sold". To say this has been a well cared for, and much loved boat would be an understatement. The bright work was in terrific condition, the fiberglass was waxed, and showed no sign of oxidation. The boat is almost exactly the way it came out of the factory approximately twenty-seven years ago. There are only a few things that are different. It was re-powered just last year, and the original Yamaha 220 was replaced with a new Yamaha 300 HPDI. The rocket launcher seat was also re-upholstered, and the motor mount is of a newer vintage. The boat in question is a Intrepid 26, built by the Intrepid Boatworks in 1983, now Intrepid Power Boats. The hull lines are clean, and purposeful, as you would expect from a classic Jim Wynne deep V hull design. If you look closely, at more modern Intrepid boat hulls of about the same lengths, you can clearly see the design similarities, even after a couple decades have passed. I will talk about Jim Wynne a little later. The console is well laid out, and nicely trimmed. The new Garmin 5208 chartplotter is visible behind the helm. The Yamaha shifter, and the engine instruments are new. Under the helm, are two VHF radios, an EPIRB, and an aircraft transceiver, and you can see the small antenna farm on the mast below. The mast was custom built for Loys’ boat by Intrepid, and was never a factory option, but it is cool looking, and maybe should of. In addition to the radio antennas, you can also see the Garmin N2K GPS and Garmin GXM51 weather receiver. So how did Loys end up purchasing the first Intrepid? He was a good friend of Jim Wynne, who told him about the new company he was designing hulls for. For those who don't know who Jim Wynne is, I will put some links at the bottom of the story to allow for some further exploration. Jim Wynne, along with Charles Strang, were the inventors of the I/O stern drive so prevalent in todays boating world, and Jim Wynne can be also be considered the one of the fathers of modern power boat deep V hull design. "A good friend of mine bought the second boat off the line, but I let the factory finish his first because he was headed off to the Bahamas before me. We were departing a little later in my Hatteras 53 YF. We, for the most part, towed the Intrepid all over the Bahamas. Typically we left the two boats there from May to September, and we were always moving around. I love to free dive, and shoot fish with a sling. We owned a twin engine plane (hence the aircraft transceiver on the Intrepid), and would leave on Thursdays, and would return on early Mondays, and we did this for twenty five years". I liked his assessment of the boat, it is pragmatic, and it comes from an ultra experienced boater. Loys started out in boats at age ten in a pram. He is a world class "Half Ton" sailboat racer, with many 1st to 3rd place finishes, both domestically and internationally, and I can't imagine him without a boat, or two, or three. 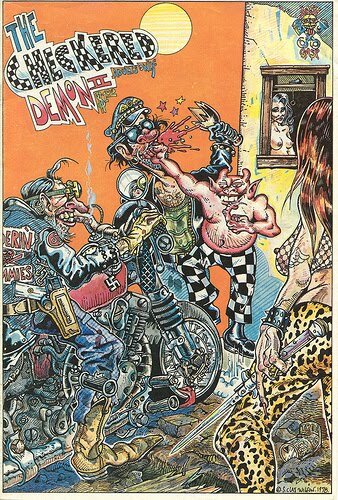 The "Checkered Demon” was the creation of S. Clay Wilson, who was a contemporary of R. Crumb (Keep On Trucking), and Gilbert Shelton (The Fabulous Furry Freak Bothers). This odd, counter culture anti-hero had the distinction of doing in bad guys, such as rapists, pirates, and bad biker gangs, and never losing, but on the whole he would rather be drinking "Tree Frog Beer", and graphically chasing after (and I am being very discrete here) females with names like Star-eyed Stella, and, the ilk. For those of you, who had "Fuzzy Days" during this period in your life, I have included some additional links below to refresh your memories. Thanks Loys, its been fun. Below are some interesting links that are worth exploring, and Google can take you to many more. A good piece on S. Clay Wilson's life and times. You can't always get what you want, and yes we have no autopilots today. Like the headline says, sometimes you can't easily have what you want. That being said, I say, "that there is aways a way", if you want it bad enough. So here is the problem. The boat in question is a Freedom 35'. It's a nice looking, and sturdy vessel, but at the preliminary "design the boat meetings", no one apparently asked the question "Would anyone want to use an autopilot on this boat?" Or maybe during the meeting, the question was asked, and some curmudgeon at the table said, "Real sailors aren't sissy's like those power boat guys are, they love the feel of the helm for hours on end, and the cold wet ocean spray on their face". In either case, the boat was not designed to have an autopilot installed. The boat has a Raymarine wheel pilot, but its size, and displacement, exceeds the design specifications of the Raymarine autopilot. It's fine while motoring, or sailing in light winds, but in following seas, or blustery conditions, it does not have the horsepower to keep up. I was called to look at the problem, and see what kind of autopilot options were available. In most cases, when a wheel pilot can't do the job, a inside installed hydraulic, or linear drive autopilot will do the trick. These types of autopilots are both stronger, and faster. This boat has a Edson radial drive steering system. In the picture above, as the helm turns, cables pull the flying saucer pulley thingy you see above left, or right, turning the rudder. It's a good system, especially if the rudder is raked back, as is this one. The large pulley sits on top off the rudder post, and passes through a collar mounted on a fiberglass table. So now we will open the proverbial "Can of Worms". Since this is a cable drive system, the hydraulic autopilot drive system is now a moot point, and we are left with the linear drive approach. All we have to do is to mount a tiller arm on the rudder shaft, and use a linear drive motor to push and pull it. Hmmm, no place up near the pulley thing to attach an arm to the rudder, how about below? Nope, not below, the rudder shaft is encased in a fiberglass shaft. I call Edson, and ask if they thought I could maybe attach a post to the outside edge the pulley, and attach he linear drive to it. Edson's reply was absolutely not, and the Edson manual says the same thing. I'm quickly running out of options, when I have a small idea. See the little post with the bolt in it, just under the hole in the deck in the picture below? That is the attachment point for an emergency tiller. The emergency tiller is a pipe section, with a slot in the bottom of it, that fits around the bolt you see in the picture. Now, if I did some very careful measurements, I could pull the bolt, and have a tiller arm fabricated, attached to a short pipe section that would fit into the emergency tiller pipe pulley mount. It could be drilled out to allow the original bolt to fit through both pipe sections. Take the original emergency tiller to the machine shop, and weld on a smaller section of pipe that would fit into the now smaller pipe. Oh crap, none of this would work, the moment would be lifted, Edson wouldn't approve, it would be a mechanically sloppy fit if it wasn't welded, and if it broke, it would most likely take out all of the steering with it. Its moving day, no it's not, we are just marking time. The rusty meat cleaver repeatedly strikes the bundle of wires until they are completely severed. The tangled mess is then shoved into some fiberglass crevasse. Job done thinks the wire butcher, now what needs my finesse? When boats ship by truck, they have to be lower than 13' 6" on the trailer to meet most height restrictions. So in this case, a Viking 53" Sport Cruiser was shipping out of Sarasota. Everything had to be removed off of the hardtop, packed, and stowed somewhere on the vessel. On this boat, as you can see below, Jeremy has already removed the Furuno radar, and is starting to pull the bolts for the stainless steel structure. I'm down below, getting ready to catch the stainless steel tower as it tips back, taking some pictures, talking on the phone, and doing other less than important things. There is also a Stratus TV antenna (serving no purpose in life now), Furuno GPS receiver, a pair of electric horns, a Digital Antenna VHF, and a Digital Antenna FM antenna. This is a pretty basic set of gear on this boat. You can also encounter satellite domes of various types and functions, and many other types of antennas, and flag poles. So here is what important to me, having been on the receiving end of many boats that have been shipped, is how much care did the other guy put into the disassembly? Did he leave me notes behind, saying where things were stowed? Was care taken in labeling the wiring, so I don't have to guess what was connected to what? Or did he just have his pet beaver chew the wires apart, and shove them unlabeled into the hole. In the case of this boat, there are two four foot antennas, that appear to be identical. One is the VHF antenna, and the other is an FM antenna, although from their appearance, you can't tell the difference. What ever nomenclature was originally on these antennas, is long gone. So out comes the labels, and in a minute or two, the problem is solved for the next guy. In the picture below, everything has been removed, a clear piece of plastic was used to close the radar mount hole, and the other penetrations have been sealed. I carry this little Brother label maker with me in the truck. It is inexpensive, doesn't take up much room, and is indispensable. Like printer companies who almost give the hardware away, just so they can sell you the ink, the label maker companies, are really in the business of selling you the labels. Regardless of this, a label costs pennies to make, and can save hours of effort when you are reassembling a tangled wad of wiring. I also use this little machine to label anything on a boat, that I have struggled to identify, so the next time I visit, I won't have to do it again. I love adding something new to a boat years later, and finding that pull string, or label I left in place is still there. I think to myself, "What a good boy I was", at least on that day.